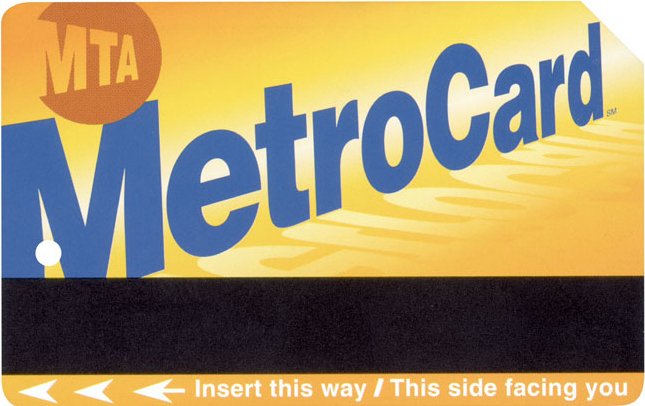 Frankly, I'm surprised it took so long for New York's Metropolitan Transportation Authority to sell advertising on the front of its iconic yellow MetroCards, especially considering the backs have been open for business for the past 17 years. "For those with a message and a desire to reach millions of people in a novel, attention-getting way, there is no better way to advertise," MTA chairman Joseph Lhota said last week in announcing the plan. Pricing isn't finalized—it costs $25,500 to run ads on the backs of 50,000 cards, and $450,000 for 2.5 million—and it's unclear when the first front-facing campaigns will appear. In simpler times, there might have been more outcry, but the ad-saturation train left the station long ago. The New York Times found a rider who groused, "The commercialization of humanity is destroying everything in the world … it would be nice to have public transportation separate from brainwashing." Still, the overwhelming majority of commenters seem to believe anything that might improve the subway system (ha!) and mitigate future rate hikes (ha ha!) is worth trying. So, expect the move to face token opposition at best.